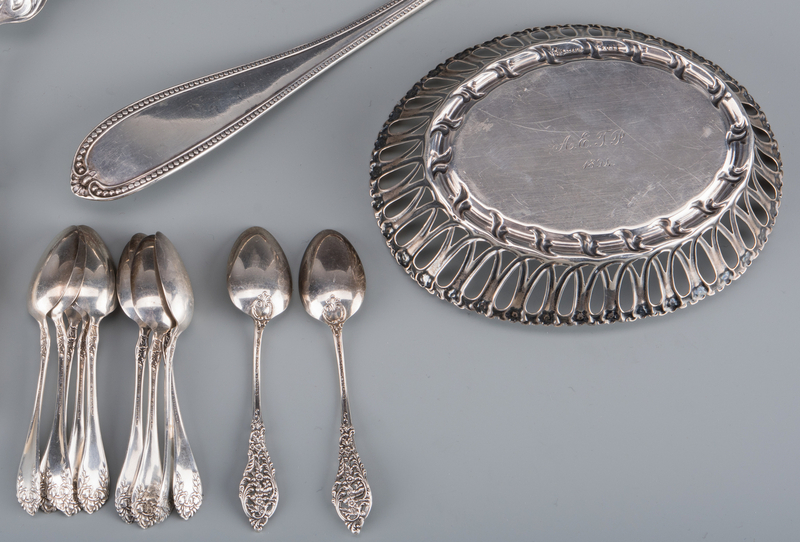 Grouping of sterling, coin silver and silver plate. 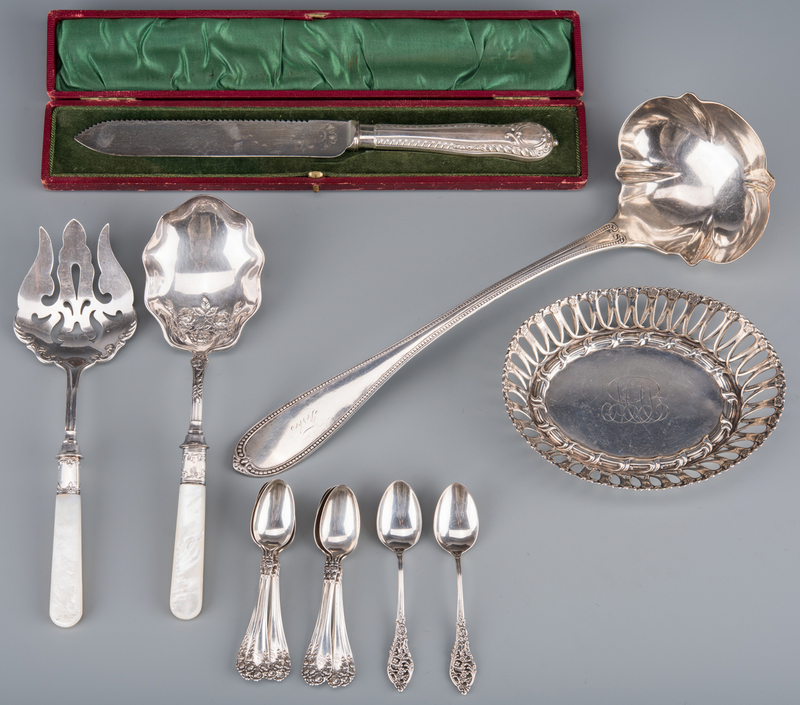 1st-11th items: 11 sterling silver demitasse spoons including 9 Wallace Rose pattern and 2 Reed & Barton Florentine Lace pattern. 12th item: Whiting sterling silver pierced oval basket, marked 4011 on base, 1 1/4" H x 6 1/8" W x 4 3/4" D, monogrammed in center and monogrammed and dated 1894 on base. 13th item: Coin silver ladle, marked Jaccard St. Louis, with fluted bowl and beaded handle, engraved "Forbes", 14" L, circa 1865. 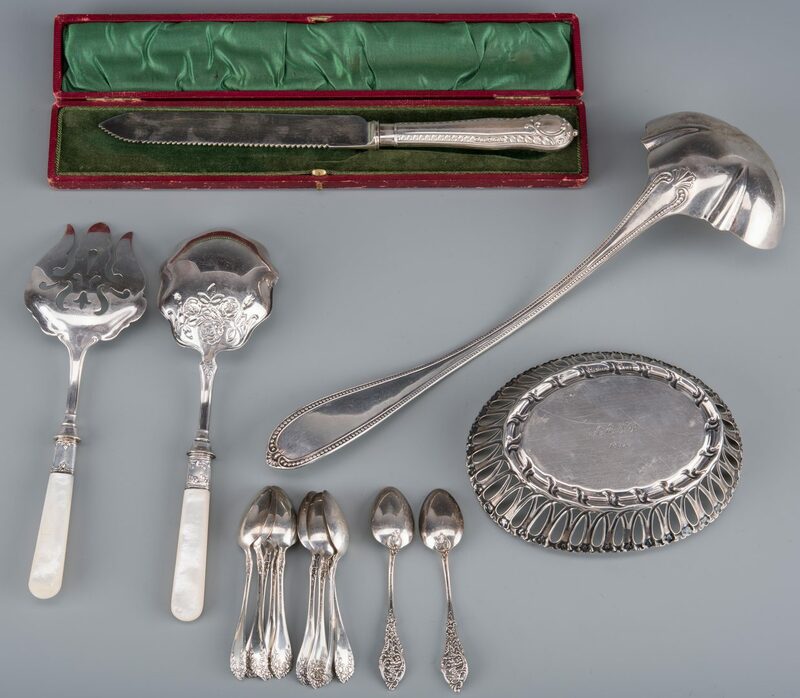 14th-16th items: Two-piece salad serving set with sterling ferrules and mother-of-pearl handles plus a boxed cake knife with weighted silverplated handle, 1" H x 12 5/8" L x 2 1/4" D box. 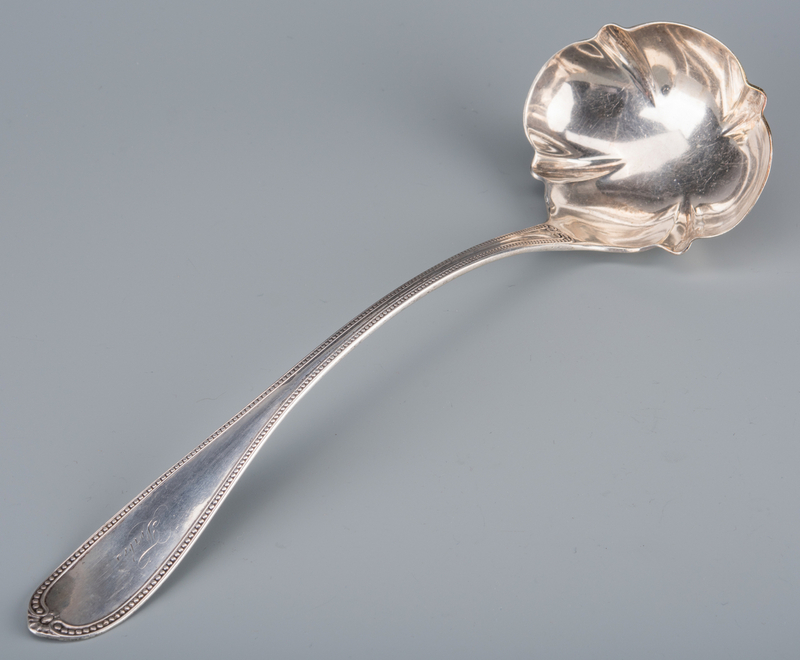 Coin silver ladle: 6.97 oz troy. Sterling silver: 6.89 oz troy total. Provenance: Knoxville, TN collection. 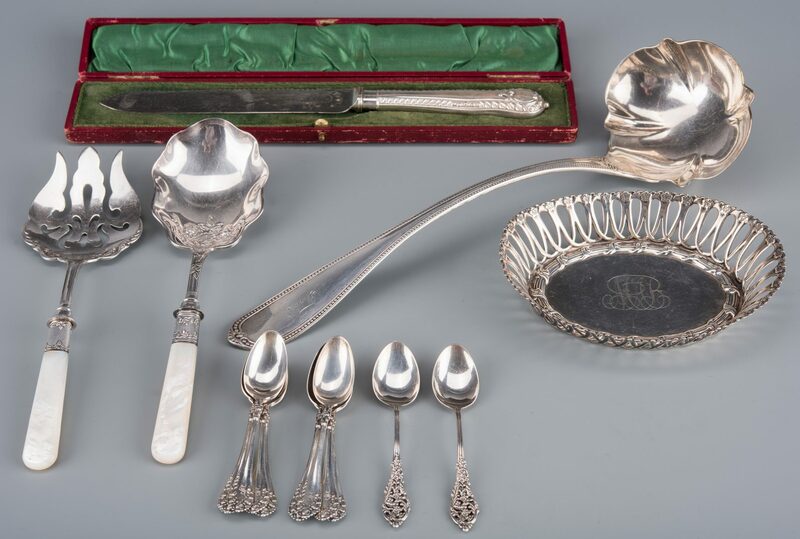 CONDITION: Wallace spoons with single monogram "S". 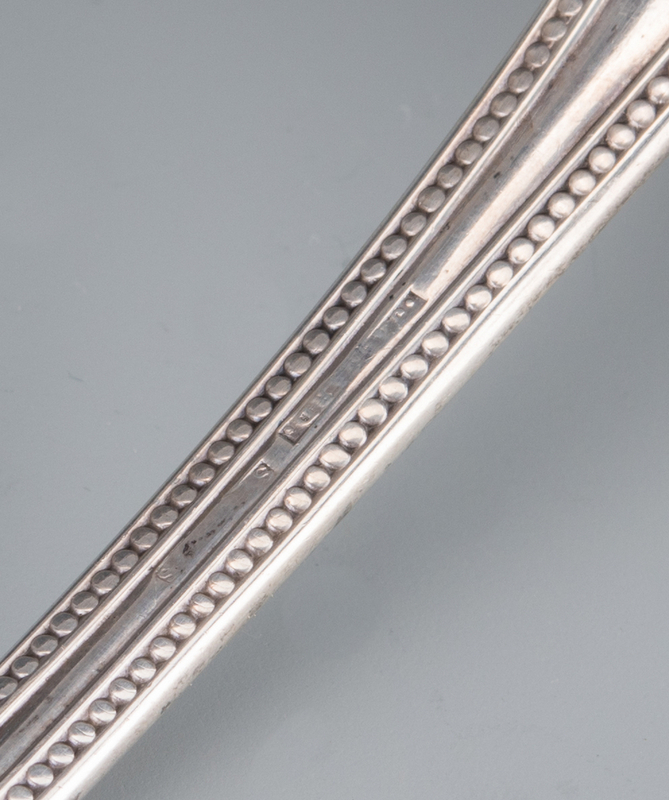 Sterling basket monogrammed and dated and with scattered surface scratches. Ladle engraved and with minor wear. Salad set in good condition. Cake knife with some flaking.